If you've ever sat down in front of your computer, popped a recently purchased DVD movie into the disc drive, and created your own digital copy, guess what...you've broken the law. Even though this practice is quite common and a myriad software programs exist specifically to accomplish this task, the film studios would like to remind you that it is technically illegal for you to break the copy protection on a DVD and create a digital copy of the film. The illegality of the act was recently reinforced by the U.S. Copyright Office, which specifically denied a copyright exemption that would allow DVD owners to legally import a copy of their discs. • Read more original commentary like this in our Feature News Stories section. • Explore more streaming, apps, and downloads news from HomeTheaterReview.com. • See related stories in our Movie News section. • Read reviews in our Media Server Review section. The consumer advocacy group Public Knowledge had requested the exemption, arguing that fair use gives consumers the right to make a digital copy of a movie for viewing within their own personal ecosystem--to watch on the computer, transfer to a portable device that lacks a DVD stream, or stream to a TV or digital media player within their home. The same practice occurs every day in the music realm when someone buys a CD (yes, some people still buy CDs), takes it home, and imports a digital copy, and the record companies now acknowledge that this is an acceptable practice. As long as the digital file is for your personal use--you don't give it to others, sell it, or upload it for others to illegally acquire--then you're good. After the U.S. Copyright Office made its ruling, Public Knowledge's Vice President of the Institute of Emerging Innovation, Michael Weinberg, issued the following comment: "Today's decision flies in the face of reality. The Register and the Librarian were unable to recognize that personal space shifting is protected by fair use. This has implications beyond making personal copies of motion pictures on DVD. Under this view of the law every personal noncommercial space shift is a violation of copyright law. That means, according to the Copyright Office, every person who has ever ripped a CD to put on her iPod is a copyright infringer. Even the RIAA has recognized that such activity is, in their words, 'perfectly lawful.'" For a more in-depth discussion of this ruling, you can check out Weinberg's blog post. Now, it's highly unlikely that an officer of the law will show up at your home and arrest you for making your own digital copies of your legally purchased DVDs...as long as you aren't engaged in illegal file-sharing (have I stressed that point strongly enough?). Still, the inability of the film industry and the consumer electronics companies to come to full agreement on the issue's legality can lead to trouble. Just ask Kaleidescape. Earlier this year, one of the most high-profile and high-end purveyors of in-home media servers lost its much-publicized battle with the DVD Copy Control Association (DVD CCA) over the ability to rip and store digital copies of DVD movies on its servers. The DVD CCA argued that Kaleidescape violated its DVD licensing agreement, and a judge agreed, ordering an injunction against Kaleidescape from selling new systems. Of course, Kaleidescape is still fighting the ruling and did earn a stay of injunction that allows the company to keep selling its products during the appeal process. Perhaps the even bigger question is, how much does this battle matter in our new streaming-media reality? The film studios will argue that there are now plenty of legal alternatives to DVD-/Blu-ray-ripping products that are specifically designed to encourage and promote space-shifting. Streaming video-on-demand services abound. 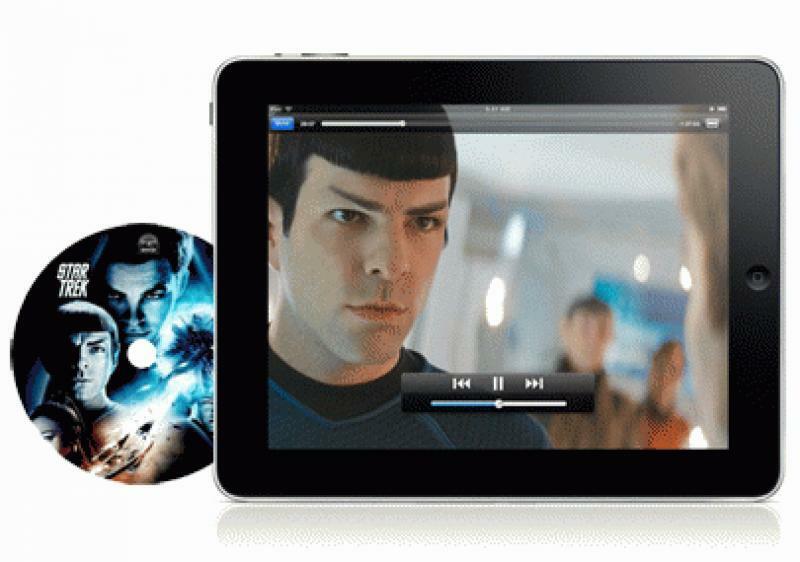 You can buy digital copies of your favorite movies and TV shows through iTunes or Amazon, and many packaged discs now come with an authorized "Digital Copy" that you can load and store on your computer. The UltraViolet digital locker system has launched, which allows you to buy and store movies in the cloud for access on Web-enabled devices. Paramount, Sony Pictures, Twentieth Century Fox, Universal Studios, Warner Brothers, and DreamWorks are on board with the UltraViolet system. This year Walmart launched its Disc-to-Digital service that allows you to get an authorized digital copy of your previously purchased DVDs and BDs to watch through VUDU and other UltraViolet-supported channels. The basic message from the studios is, we're happy to let you enjoy digital copies and streaming media, as long we get to dictate how you acquire and use them. While these services do offer the place-shifting flexibility that consumers desire, enthusiasts will point out some drawbacks. The studio, not the user, dictates the A/V quality of the digital copy. If you import a copy of your own Blu-ray disc, for instance, you control the A/V parameters. Not every digital file offered through the above services is available in high-definition, and you can forget about high-resolution audio soundtracks. Secondly, content is still limited. The complete contents of your DVD/Blu-ray library may not be available through these services...at least not yet. Finally, there's the issue of cost. To get digital copies of movies you already own, you either have to buy the movie again in digital form or at least pay a fee to authorize an UltraViolet copy ($2 to $5 in the case of Walmart's Disc-to-Digital). Packaged media that include a digital option usually cost a bit more than those that don't. In the audio realm, we don't have to pay extra to enjoy a digital copy of the music discs we purchase, but that's exactly what we must do to comply with copyright laws in the movie realm. The debate over copyright versus fair use is certainly not new. From the days of mix tapes and VCR recordings to today's issues with digital music and movies, to call the battle messy is an understatement. If the developments of this past year are any indication, we may be losing the fight for our right to import movies from disc, whether our intended use of those imports is honorable or not.